The ramblings of an adult remembering the shuttle accident through the eyes of a twelve year old. So I remember that day quite well. In north-central West Virginia, January 28, 1986 was a snow day. No school in Harrison County. Those are the words every twelve year old loves to hear in January. Back then, we still had our summers, filled with basketball and music. (I always liked to type up the Top 40 tunes each week, as announced by Casey Kasem, on a typewriter. The red ribbon would be saved for the number one song!) Also, they didn’t keep extending the school year into the middle of June, nor start in August, to make up for missed snow days, like today. 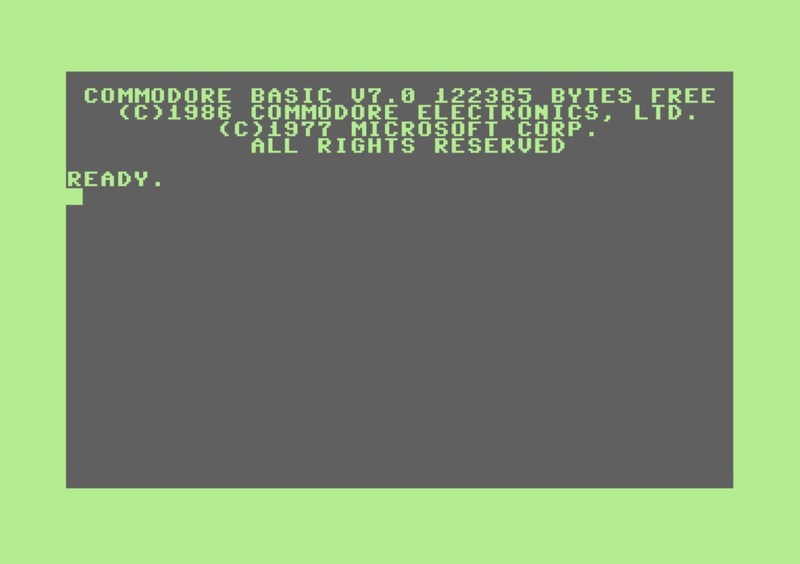 A Commodore 128 BASIC screen. At the ready. Anyway, that particular Tuesday morning, I was busy plugging away at a computer keyboard in my bedroom. I was (what do you mean, was?) one of those nerdy kids. Synchronized-watch-with-the-school-bell kinda nerdy kids. Yeah, I really did that kind of thing… That morning I was busy writing a basketball simulation program on a Commodore 128 computer. I don’t have a screenshot of that program or a copy of it anywhere, but I remember it well. It was a side-on shot of a basketball court and backboard. When you pressed the space bar a basketball would head toward the hoop and it would randomly vary a few pixels left or right, and occasionally you’d “make a basket.” Anyway, it was just the kind of thing I was likely to do on a snow day. “Jay, come in here,” mom yelled from the living room. “The shuttle’s going up.” “Oh, yeah, that’s happening today,” I thought. So… pack it up on the C-128, and head into the living room.